Take your coffee needs fulfillment to the next level, with Broderick’s in your workplace today. Offering Coffeeshop quality is our mantra. Customers equate Broderick’s with high quality coffee. With real milk, from the best range of machines, fitted with the latest modern technology. From bean to cup coffee to soluble coffee, we can cater to all tastes: whether that’s a grande cappuccino or an intense espresso. 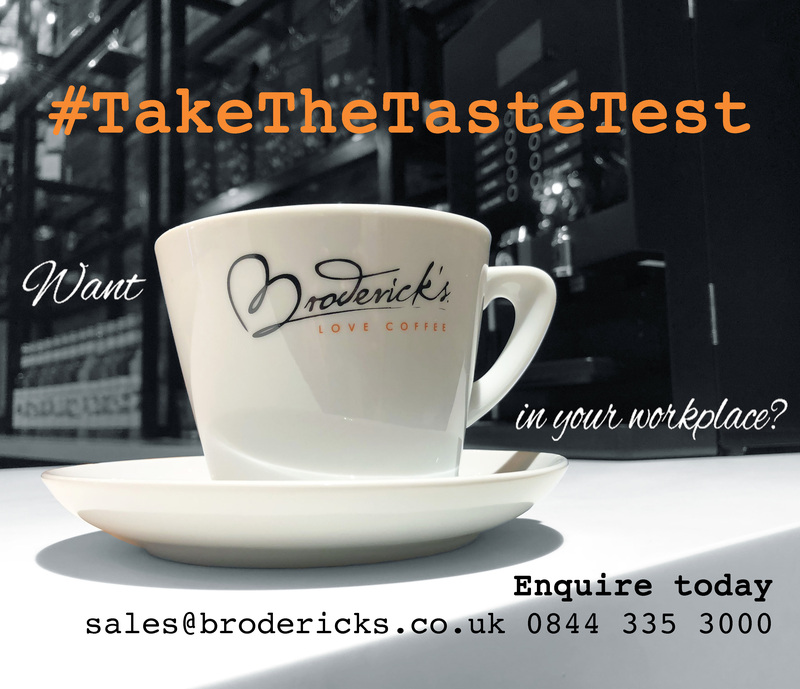 To find out more about how we can supply high street quality coffee for less than 30p in your place of work – enquire about your Broderick’s showroom experience today.